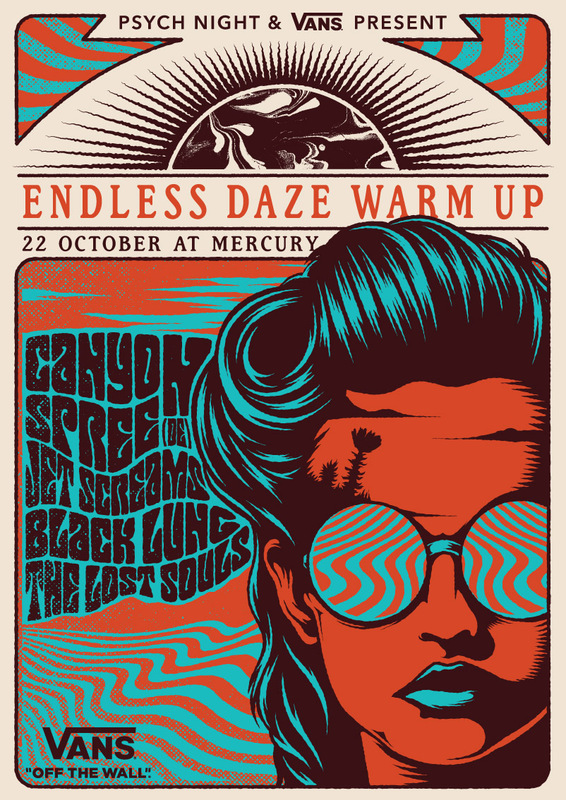 With Endless Daze Festival approaching fast, we could barely keep our excitement in, so we’ve decided to throw a ‘warm-up’ party! Canyon Spree will be joining us all the way from Berlin, Germany and together with Jett Screams, Black Lung and The Lost Souls, they are sure to get you in the mood for our upcoming fetival! This all goes down at Mercry Live on Saturday the 22nd of October. Doors at 8:30. R50 gets you in! We’ll also be hosting a clear-out sale of Psych Night related merch including apparel, previous Tour material and records at heavily reduced prices, so bring some extra cash!